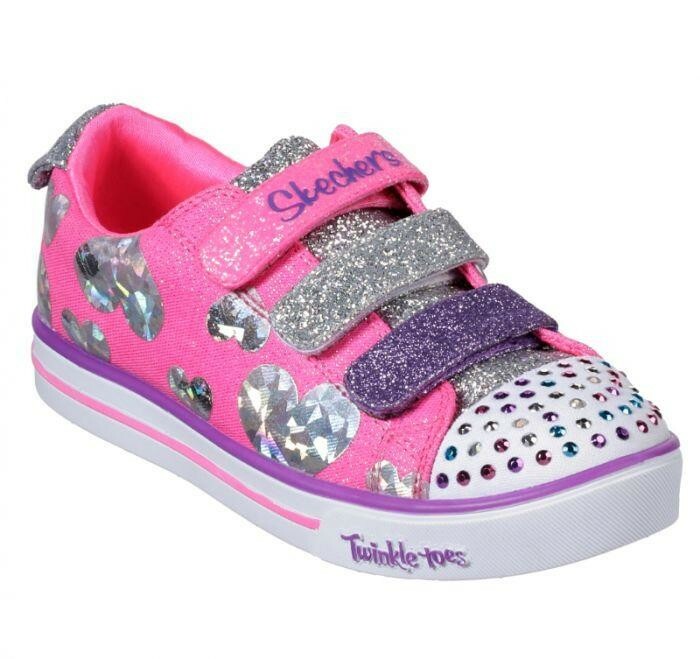 Inspire some true love with light-up fun and comfort in the SKECHERS Twinkle Toes: Sparkle Lite - Flutter Fab shoe. 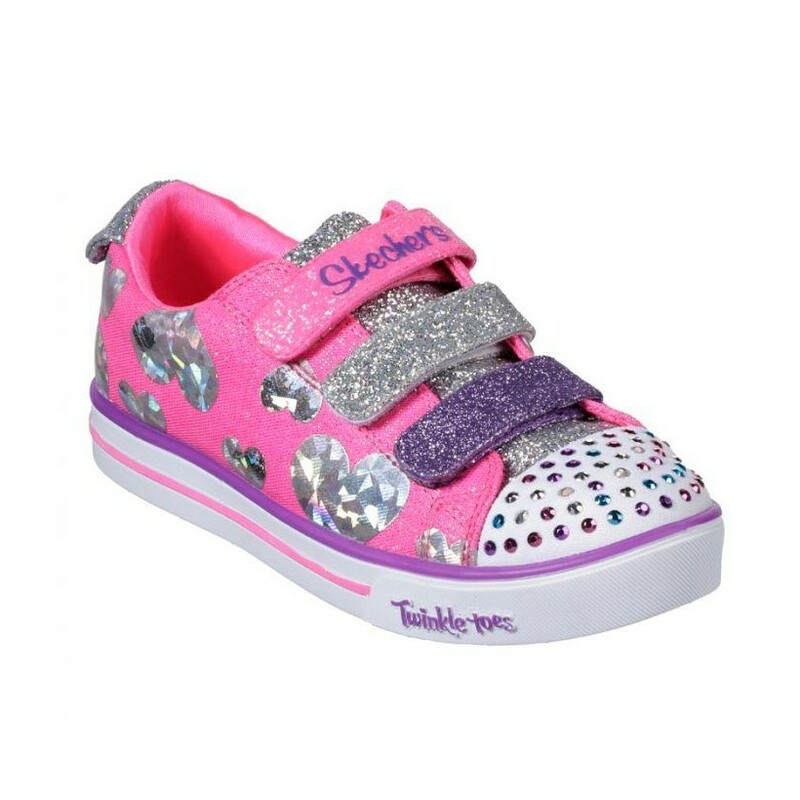 Inspire some true love with light-up fun and comfort in the SKECHERS Twinkle Toes: Sparkle Lite - Flutter Fab shoe. Soft woven canvas fabric and glitter finish fabric upper in a three strap front casual light-up sneaker with stitching and overlay accents.